Calling all Butisattvas! 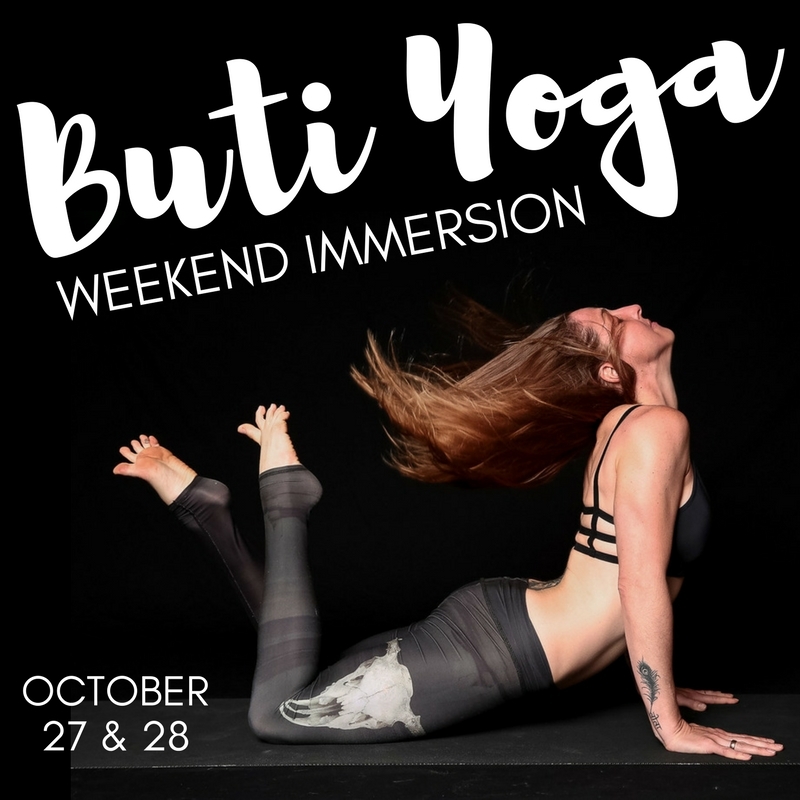 We’re bringing in Buti Master Trainers, Kate Seymour and Nadia Carriere, for an action packed, Buti Immersion right here at Chagrin Yoga! Join Master Trainers Kate Seymour and Nadia Carriere for Chagrin Yoga’s FIRST EVER Buti GLOW! Complete with black lights, glow in the dark body paint, this will be an event to remember! Buti Yoga workouts transform your BODY+SOUL with cardio-intensive bursts of tribal dance, primal movement + conditioning woven into a dynamic yoga practice. Derived from the Marathi word, Buti means “the cure to something hidden or kept secret.” Buti Yoga offers a journey to wellness and empowerment, an increase in strength and flexibility, and a sense of freedom of mind, body and spirit. Connect with your primal energy while immersing yourself in this incredible movement style. Free Flow with Kate Seymour. Free your mind and tap into creativity through movement. This is useful tool for movers, shakers, yoga teachers, artists and anyone ready to get out of their own way! It is an effective way to make space for opportunity and discover what’s on the other side of fear. Masterful and intentional, DEEP is restorative movement sequence that utilizes the Spiral Structure Technique® to connect mind to muscle and catalyze vibrational change on a cellular level. Unlike other Buti® trademarked formats, DEEP is low-impact and focuses on micro-movements with physical touch to connect the brain to innervated muscle and restructure the deep core. DEEP is designed to prevent injury, restore innervation and assist in the recovery of bladder/ uterine prolapse and diastasis recti. The class structure also includes self-massage and pressure point activation to release muscles during deep restorative asanas and a 10 minute sound healing meditation.